I am looking for students for a special topics course in Fall 2014 in the Computer Science department at SJSU. The course will focus on Virtual Environments and the interconnected systems, layers, art, communication with servers, programming and dealing with players. We shall be running Minecraft both locally and on public servers. It is also my hope that we can begin to do basic research in Virtual Environments (with the possibility of a research partner). I have been running a Minecraft server for several years and have used it to host international art exhibitions, performances and residencies. We shall work to modify the base system through programming in Java and possibly Scala. The course focus will be to understand these systems and create a project within the live environment. (from my initial posting) CS185c section 3 – will focus on understanding and coding the complex overlapping systems that create a robust virtual environment. We shall build plugins & mods, map cultural systems, leverage emergent game properties with an eye towards player experience and system performance. 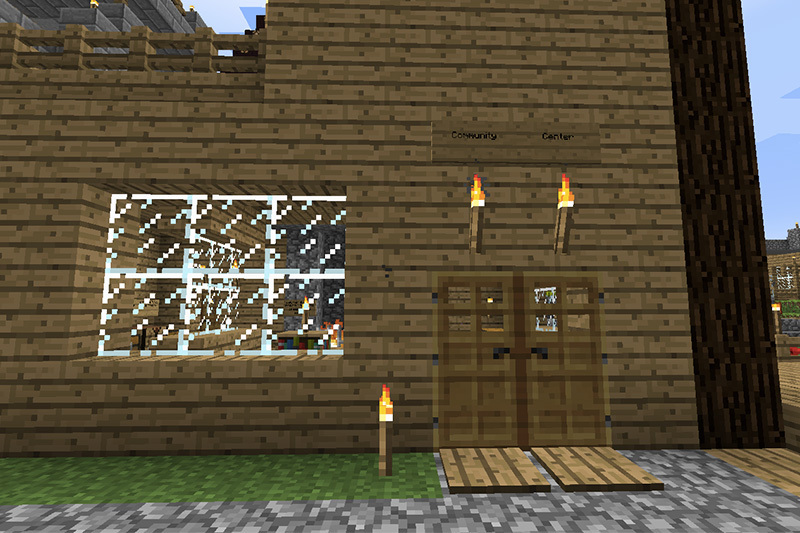 This course will “eat its own dogfood” and meet on Thursdays in a live Minecraft environment. Instructor: James Morgan is a founding member of Ars Virtua, and has taught this class twice at UCSD in their Interdisciplinary Computing and the Arts program as Virtual Environments in Second Life and World of Warcraft. He also teaches the CS108/Art 108 Game Studies course at SJSU. Prerequisite: Java programming or instructor consent.